9 May 2017 – Wind Farm Analytics argues for Energy Storage Capacity Markets to reduce energy storage cost for the consumer via competitive auctions, paid for by Energy Storage Use of System charging which will be of negligible cost to the consumer and most likely save the consumer significantly thanks to the added flexibility and energy security provided to the grid. 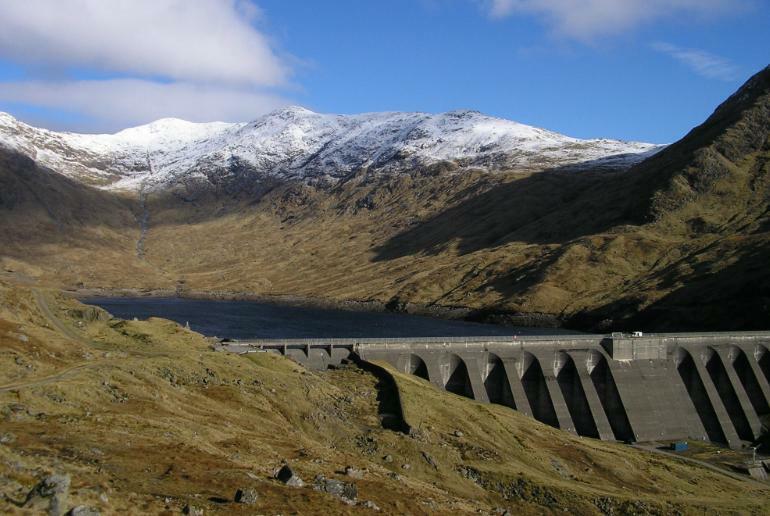 Please read more on the proposed Energy Storage Capacity Market and Energy Storage Use of System charging and please consider responding to the Scottish government consultation on Energy Policy by 30th May 2017. Wind Farm Analytics offers cost-benefit calculation and analysis to wind farm owners and developers on the possibility of additional revenue streams as well as project protection arising from the inclusion of energy storage within existing or planned projects. The goal is to increase project lifetime profitability whilst serving society better through the provision to the grid of predictable and reliable pure renewable base load generation. Although weather forecasting can be successful to some degree weather systems and wind energy cannot presently be accurately predicted all of the time. This results in the often cited “intermittent” or “variable” nature of wind energy. This poses difficulties for electricity grid management which has to match electricity supply on the generator side with electricity demand on the consumer side. One method that is being employed by grid management is to instruct wind farm generators to limit or “curtail” their output whenever overall electricity generation creeps up higher than consumer demand. This means that wind farms are being ordered to dump green energy while polluting fossil fuel and nuclear plants are allowed to continue generating at full output. This is supposed to be justified by the fact that the non-renewable generators operate most efficiently at close to maximum output, that these plants are considered beneficial to grid management due to their predictable and unvarying “base load” status and, especially in the case of coal power stations, that the output of these plants cannot be turned up and down very quickly. The result is that we are being forced to dump free renewable energy and that wind generators are criticised for being unpredictable. Curtailment instructions and the volume of energy being dumped due to wind farms being ordered to curtail output is rising as ever more wind energy is being deployed on the grid resulting in the grid management viewing curtailment as the short term solution ever more frequently. If left unchecked this problem will continue to grow as more variable renewable energy is added to electricity grids around the world as planned in Germany, the UK, India, China, Saudi Arabia, the USA and numerous other countries. So the delivery of wind energy into the grid is being held back and the incumbent generators are being protected with their lack of controllability (arguably a weakness to rival the intermittency weakness of wind) being rewarded with firm contracts at the expense of the environment. This is not a criticism of the incumbent generators which have evolved to fulfill the existing demand. But it is a recognition of the fact that the grid management and electricity markets need to continue evolving in order to facilitate the needs of society which include increasing provision of renewable energy. But there is a simple solution! The solution to the variability or intermittency of some renewable energy sources is energy storage which will eliminate the wasteful practice of dumping renewable energy by curtailment. Energy storage can be deployed on the grid as a stand alone generating unit. The tried and tested large scale energy storage with high efficiency of 75-80% is pumped hydro energy storage. But where generators are participating in electricity markets as distinct trading units or where curtailment is regionally dependent it can be beneficial to incorporate energy storage directly within the renewable energy project. Co-locating energy storage with your renewable energy project results in pure renewable base load generation! Furthermore, as more and more wind energy is installed on electricity grids the level of wind penetration can reach such levels that when it gets windy the grid is inundated with energy supply beyond the level of demand. Apart from encouraging curtailment this has the effect of driving electricity prices down since supply and demand economics results in low prices whenever there is a glut in any commodity. For the wind industry this is not helpful since it means the wind generating asset is least profitable exactly when it is most productive. But there is a simple solution – energy storage! By incorporating energy storage into wind farms and other variable renewable projects the generator can ensure that the renewable energy is delivered to the grid and the consumer when it is most needed. This has the happy side effect of guarding against the risk of having to accept uneconomically low prices since, in a free electricity market, the price tends to be higher when the energy is most needed. In many countries around the world electricity is traded, with prices varying according to supply and demand perhaps every half hour. These prices may typically become lower at night when there is reduced demand and may rise when demand is increased. If there is intermittency on the electricity supply (generator) side, such as when a nuclear power station breaks down or requires an outage for maintenance, then the electricity price will rise. When electricity prices vary by a factor which is greater than the inverse of the efficiency of the energy storage then there is potential scope for trading advantage to be obtained by storing energy when demand is low (eg at night) and delivering it at a time when demand is high, and the market price is correspondingly higher. Wind Farm Analytics Ltd wishes to highlight that wind farm operators, developers, owners and financiers may also benefit from energy storage and related analysis services offered by Green Hydrogen Consulting Ltd. Please note that Green Hydrogen Consulting Ltd is a separately registered company. So get in touch about the possibility of commissioning some cost-benefit analysis on energy storage options for your existing or planned wind farms!